Using the Elements of Style for was my main goal - and I do love the turn out. 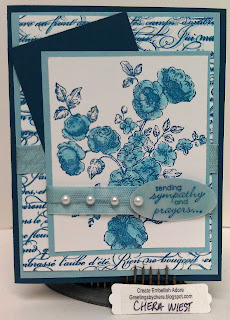 I added the pearls for some softness, as well as stamping the sentiment from Petite Pairs on Vellum. I then adhered the vellum on the Baja Breeze cardstock, before I punched it with the Oval punch. The Baja Breeze seam binder was a great addition too! 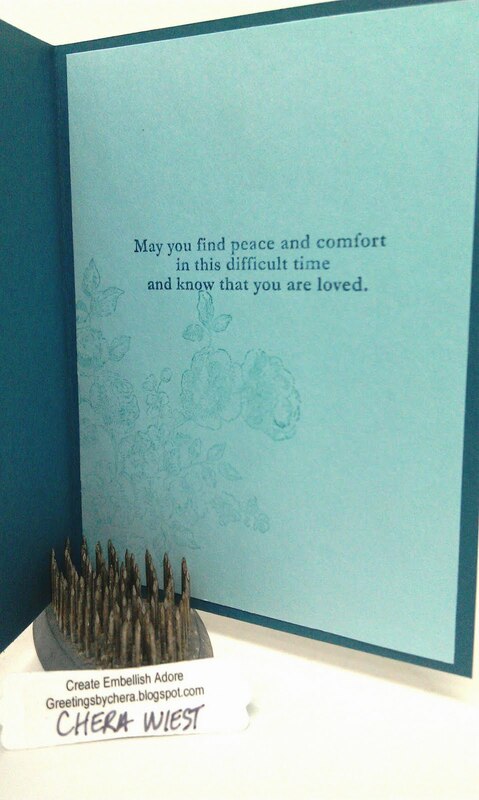 so sorry to hear of your co-worker's mother passing. How very sad! 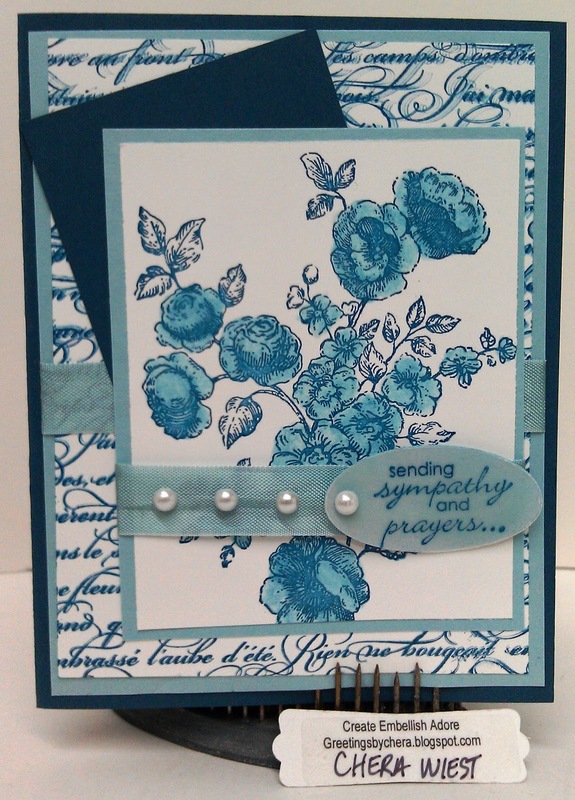 WOW, love that layered background stamping, beautiful. Your card is lovely, the colors, pearls, velum such beautiful details. Beautiful work, sorry to hear about your friends loss, mom's are a tough loss.